At Landau Pool Construction we aspire to provide the highest professionalism, business ethics, quality, reliability, attention to detail, commitment to honesty and excellence while ensuring our Customers decision to select Landau Pool Construction was the correct choice. Our Customers trust is something we need to earn every day and a satisfied Customer is always our first objective. 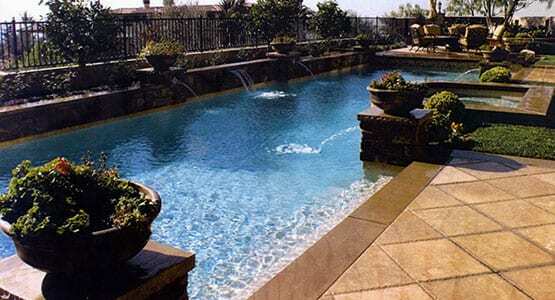 We are confident that a Landau Pool will enhance our Customers lifestyle by turning their backyard into their families’ paradise and something they are proud to own. Landau Pool Construction, as a company, will continue to place our Customers needs above all else. As we grow our client list, we will maintain our personal assurance to each project. Not only do we help you create your customized backyard paradise we create life-long relationships. Let us provide you with only the best in quality and customer care. Call today at (909) 367-6122 or send us a message. Make your backyard dreams a reality!